The Ukrainians Sectorial’s music is filled with the power of blast beats, guitar riffs' aggression, and softened by the melody of folk instruments. The band’s vocalist Ivan Kozakevych is the one who brings to the group’s works the folk flavor. As it turned out, Ivan not only can play several instruments, but also he has made some of them. In this article, the frontman talks about jew's-harp, bukkehorn, Hutsul bagpipe, and floyara (a few instruments from his extensive collection), which sound enriches Sectorial’s music. The Carpathian musical instruments have a strong energy. You can feel it while listening to them live, and especially when you're playing on them. I think, it’s because of continuity of the highlanders’ long-standing musical tradition. The same instruments, which have been extended several centuries ago, are also used now — it's like to visit the musician’s performance in the distant past. For a long time of my musical creativity searching, I found a lot of interesting instruments, and since my interest has not only the research nature (history, spreading, traditional using, etc.) but also practical (learning how to play each of them), I gathered a collection of these same instruments. Some of them I bought from their producers, others I did by myself, gathering materials for them from the sources available to me. I decided that it’s enough to keep them in a dark cool place, away from human eyes, and it's time to talk about each instrument separately. 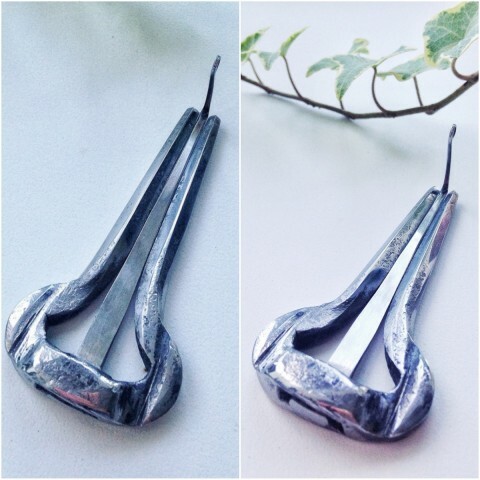 I'll start with one of the oldest instruments known to mankind, jew's-harp (drymba). In Ukraine, it’s common among Hutsuls and Boykos in the Carpathians. 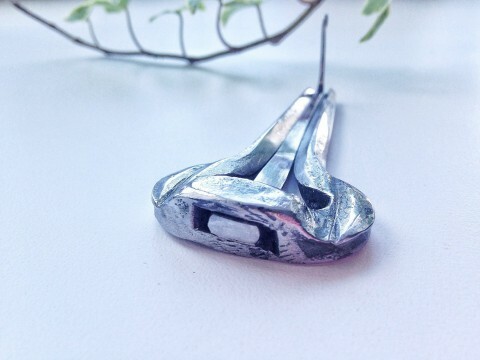 Hutsul harp is a small instrument with a sonorous high sounding used for playing "for oneself", as well as for the performance of traditional dance tunes such as Hutsulka, Pivtorak etc. I learned about the variety of jew's-harps from my long-time friend Anton Sharygin. He bought several Hungarian dorombs which were quite different from the usual Ukrainian drymbas — low, massive with a thicker sound. I was interested in playing melodies on drymba, not just fluttering and inhale/exhale. 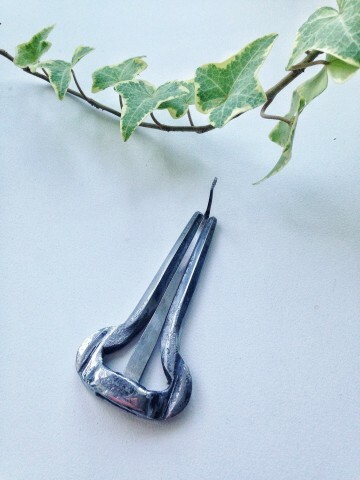 The research has led me to the Norwegian tradition of playing (jew's harp in Norwegian is called "munharpa"). Norwegians play fantastically, they have a lot of melodies for the instrument, and for each of the melodies — the story of its origin. Continuing the search, I met a remarkable musical instrument maker and a great musician from Kharkiv, Alexandr Dernovoi. He makes the instruments exactly in the Norwegian tradition — forged, tuned to the note, with the good sounding of overtones — that is what you need to play melodies. The instrument made by Alexandr is in the photo below. Continuing the theme of Norway, I would like to talk about bukkehorn, a long-time signal musical instrument with tone holes. It’s made from goat horns. My instrument I did by myself. The main problem is to find a material, a horn, with the right size (some crazy grandmothers with their herds of goats, whom you can find, perhaps, in every little town, can help you). In Norway, I have found only one maker, but his price for the instrument was too high for me at that time. 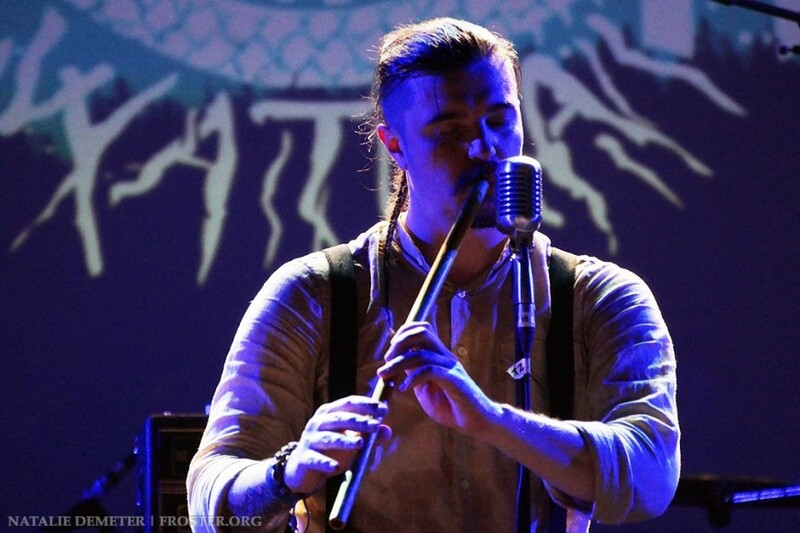 Wardruna's Einar plays bukkehorn as well as several well-known Norwegian musicians. Like many other instruments, I use bukkehorn in Sectorial’s works. 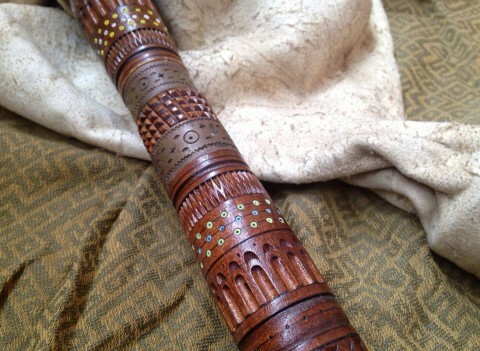 Also, I would like to tell you about duda, pipe or Hutsul bagpipe. 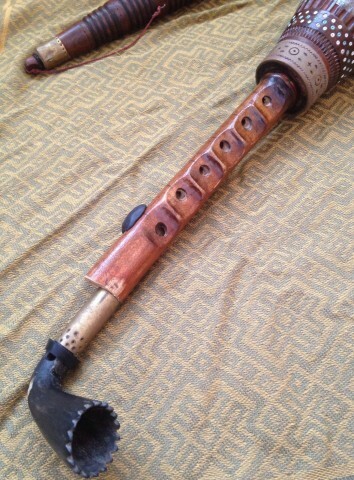 The tradition of making and playing the duda preserved thanks to Mikhailo Tafiychuk, a known Hutsul instruments maker. Alone, adopting a method of making and playing, he saved it and brought to the present day. The Tafiychuk family uses the horns during their performances. 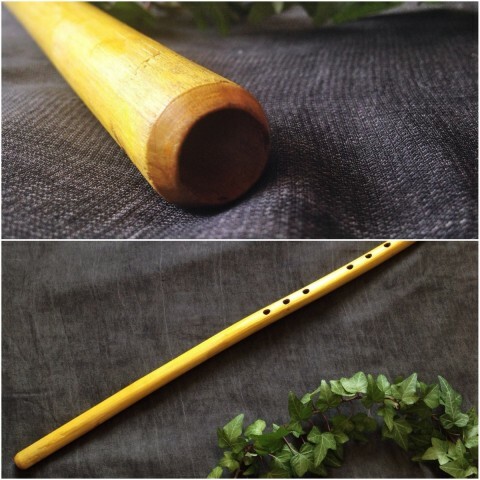 Traditionally, musicians played dance tunes on the dudas, accompanied by singing, and like floyaras (or flutes), they were used to play near the dead man, as a kind of ritual instruments. 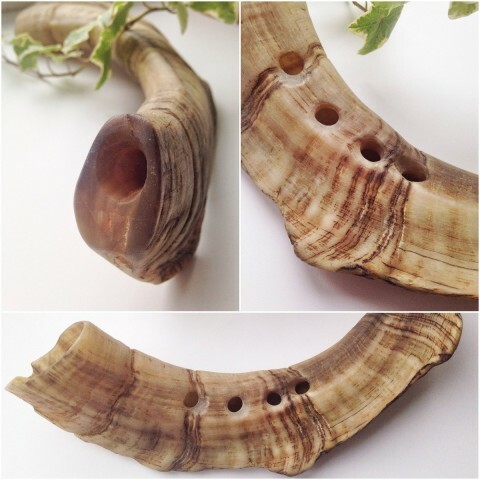 A pipe for Hutsuls, like a violin, considered as a very difficult instrument, as well as its player. It is believed that pipers are recognized with the demon, can play a tune-curse, therefore it’s desirable to quarrel with them. If you want to learn to play, you need to agree with the devil. Nothing complicated — you just go out on the crossroads, open your mouth and wait until a bumblebee flies into it, after that you take a duda with an ant which will be crawling on it, specifying you where to put the fingers, and so you play. The devil would be this ant. But nobody tells you what you have to give him instead. Interesting fact is that the remains of the bagpipe were found during archaeological site near Berestechko, in place of the Cossack camp. 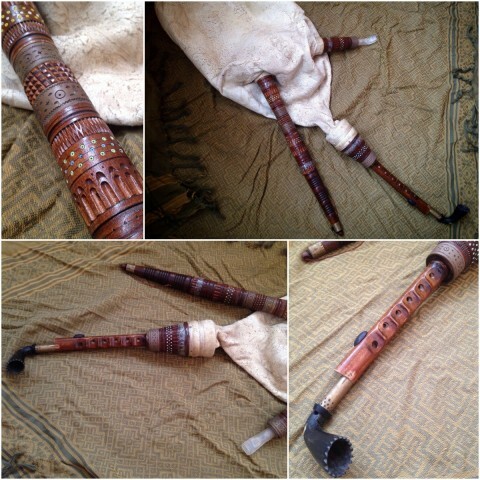 That bagpipe which was very similar to the Hutsul duda because of its structure and some specific features. The floyara (flute) is an old-time Hutsul instrument that, unfortunately, now almost gone out of use by people who live in the Carpathian Mountains. 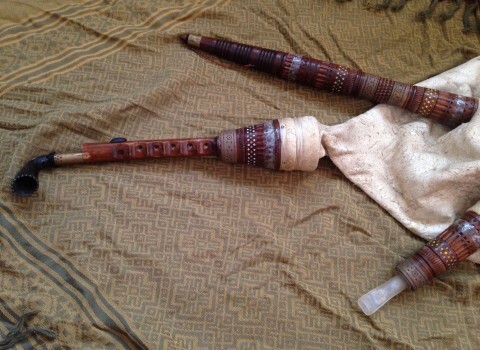 Like with anything else, Hutsuls believe that a floyara in addition to its musical, has also a ritualistic mystical sense — they were used for playing "melancholy" melodies near the dead man. 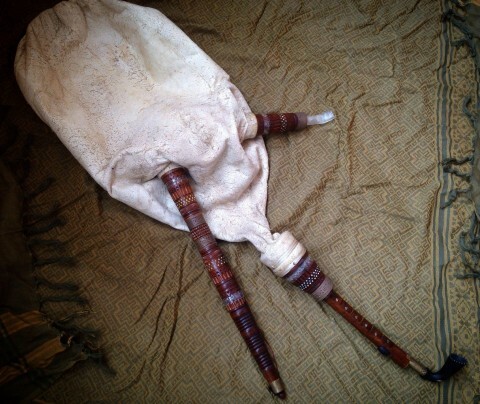 The highlanders consider floyara and trembita as God's instruments, unlike the violin and duda which are satanic. 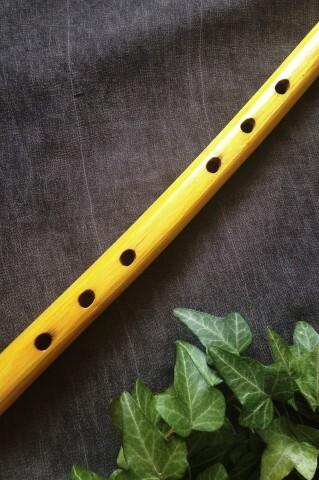 Hutsul pipe is an open diagonal flute with tone holes, without whistle — player makes sound with the open edge of the flute by dissecting the air flow. An old playing always accompanied by a bourdon buzzing voice. Musicians played floyaras not just near the deceased, but also at vechornytsi, just for oneself, the shepherds in the valleys, etc. There is a legend that floyara played well and never parted with her Carpathian hero and robber Oleksa Dovbush. The floyara made by Mikhailo Tafiychuk can be seen in the photo below.